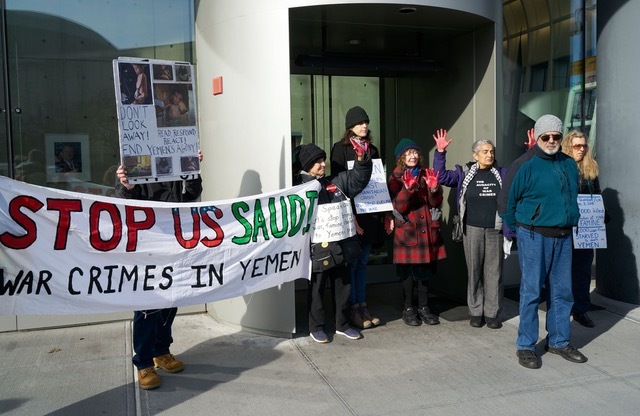 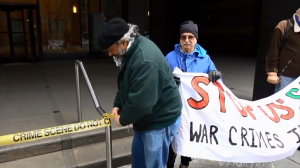 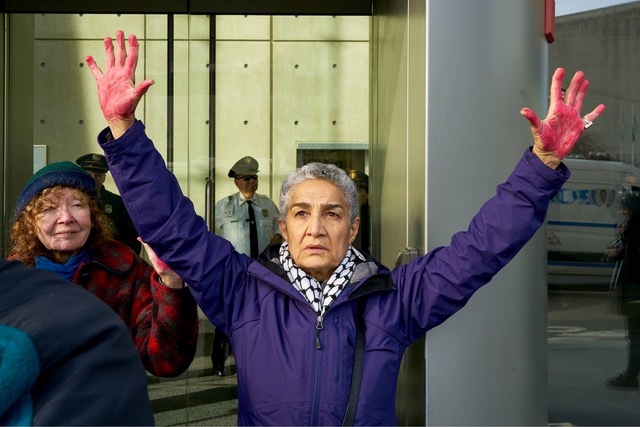 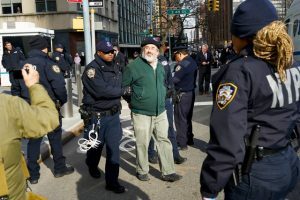 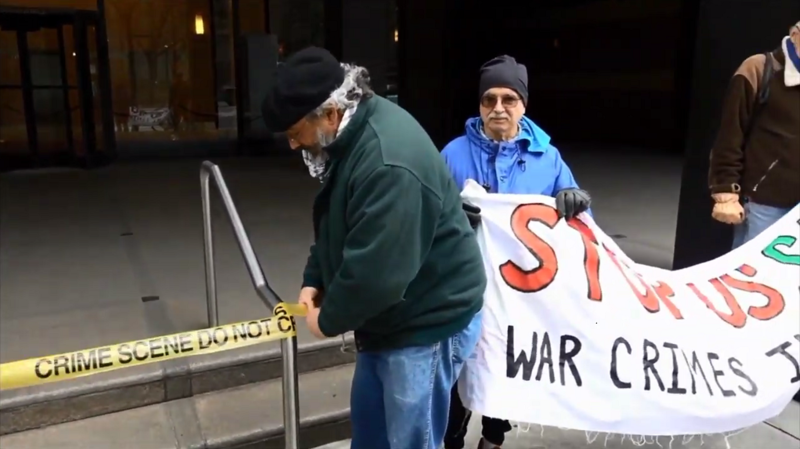 During Fast for Yemen, 11 activists were arrested at the U.S. Mission to the U.N.
On January 2, 2019, eleven people including Voices for Creative Nonviolence organizers Kathy Kelly and Brian Terrell were arrested blocking the entrance to the U.S. Mission to the United Nations in New York City, part of an on ongoing two-week “Fast for Yemen” in New York and Washington D.C. The group and their supporters held signs and banners reading, “Food, Fuel, Medicine for Yemen” and “Stop U.S./Saudi War Crimes in Yemen”. 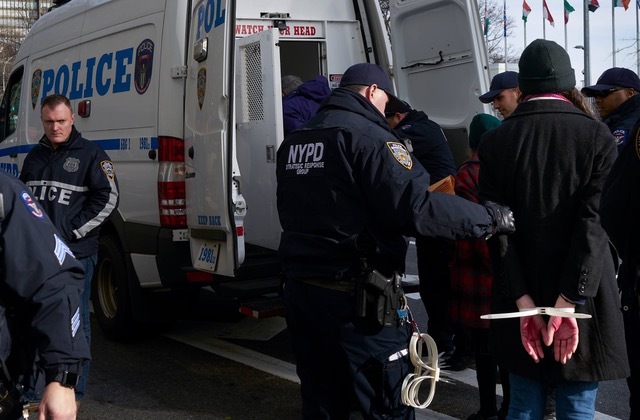 The eleven activists were taken to One Police Plaza for processing, charged with disorderly conduct and released 5:30 that afternoon with a court date of Monday, February 25.